I don’t know about you, but I love a good cup of tea. In fact, there’s not much in life that can’t be helped with a good old cup of tea. Being British, we’re known for our love of the classic brew, and I am nothing without my morning cup to get me going. This time of year is prime-time-cosy-tea-drinking-time isn’t it? Snuggly blankets, fluffy socks, Christmas film on and a lovely cup of tea to finish it off nicely. This year I’ve been indulging in some gorgeous flavoured teas from The English Tea Shop. A lovely quintessentially British brand who make the finest organic teas that all the family can enjoy. 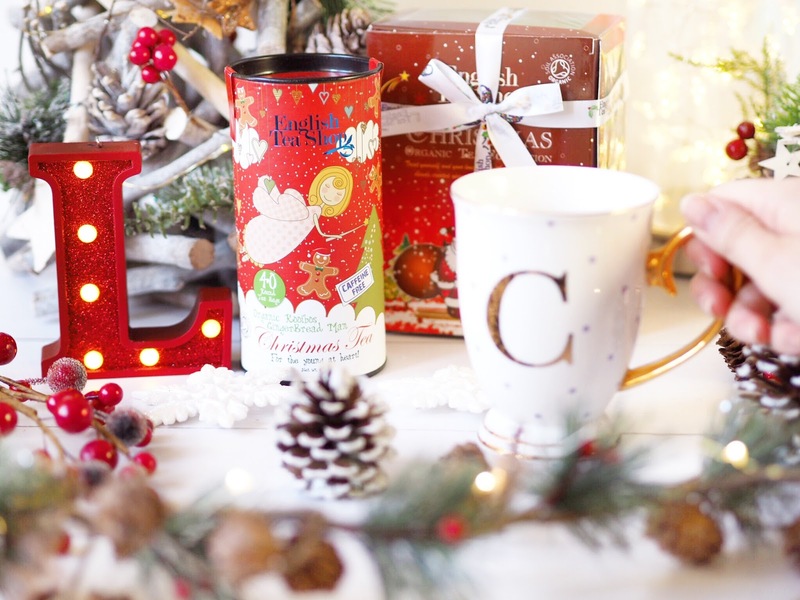 They have a wonderful selection of flavours that suit every palette and have some wonderful Christmas-time blends for that perfect cup of festive tea. 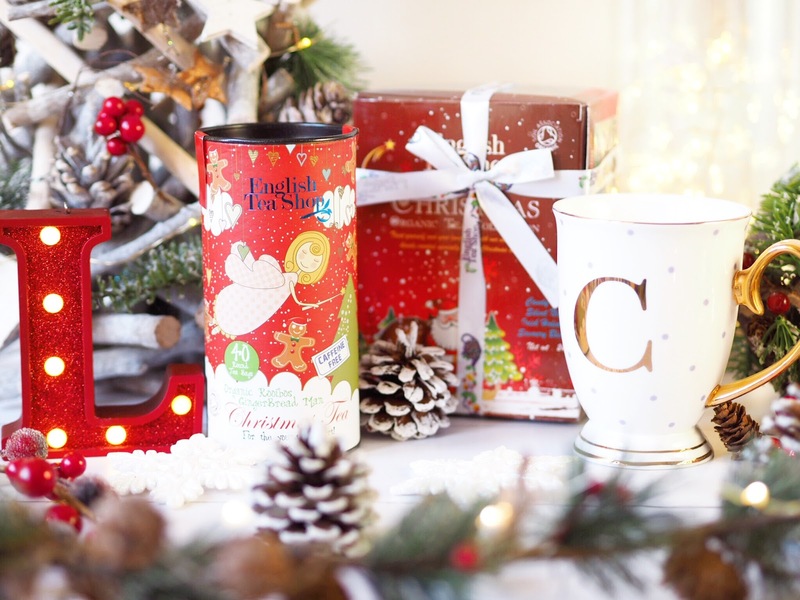 Considering there aren’t many people who don’t adore a good old cuppa, the Gift Sets from The English Tea Shop would make perfect gifts this Christmas because sharing the love of tea is something almost all of us can enjoy. You can’t go wrong with tea as a gift! If you buy clothes, you could get the wrong style or size. If you buy fragrance it could be the wrong one. But if you buy tea, it’s so universally well loved that you’ll almost certainly be giving a gift that your friends and family will love. But once you’ve given the gift, how do you yourself enjoy your Christmas tea? And how do you tell your friends and family to enjoy theirs? 1. Start with the cup or mug. This is very important because the bigger the mug, the more tea you can fit inside! But also, it’s very important to make sure this tea is different to all the other year-round tea experiences. So you’ll need to start with a Christmas mug. Something festive, something fun. The more novelty the better. Trust me on this. 2. While you boil the water, put on some Christmas music. Michael Buble is a favourite of mine for the festive period, but anything that gets you in the mood is key. Wham, Driving Home For Christmas…they’re all good. I’m not going to tell you to sing along, but the more festive you feel, the better your Christmas tea will taste – I promise! 3. Pick your tea flavour. 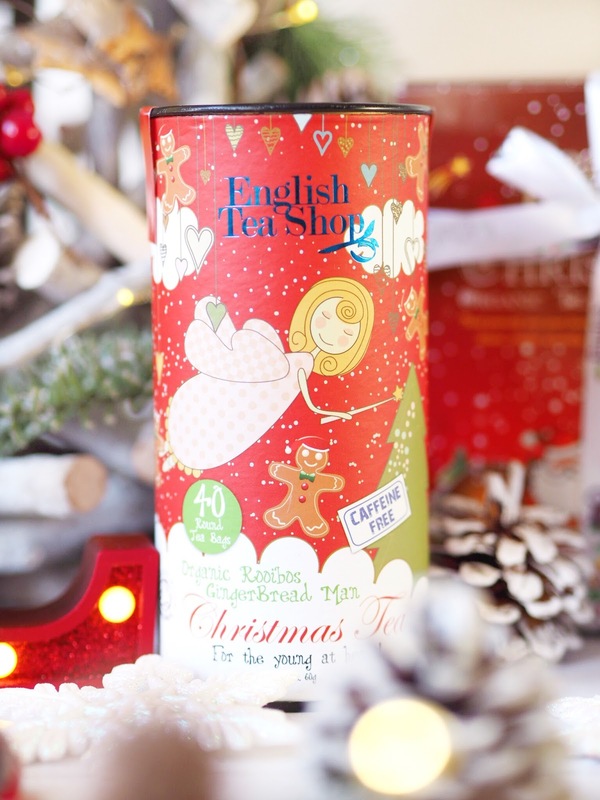 The English Tea Shop have some gorgeous and tasty Christmas teas and some wonderful sets too. The organic Rooibos Gingerbread Man Tea is a firm favourite in my house right now. And it’s caffeine free so even little tea drinkers can indulge in a brew! 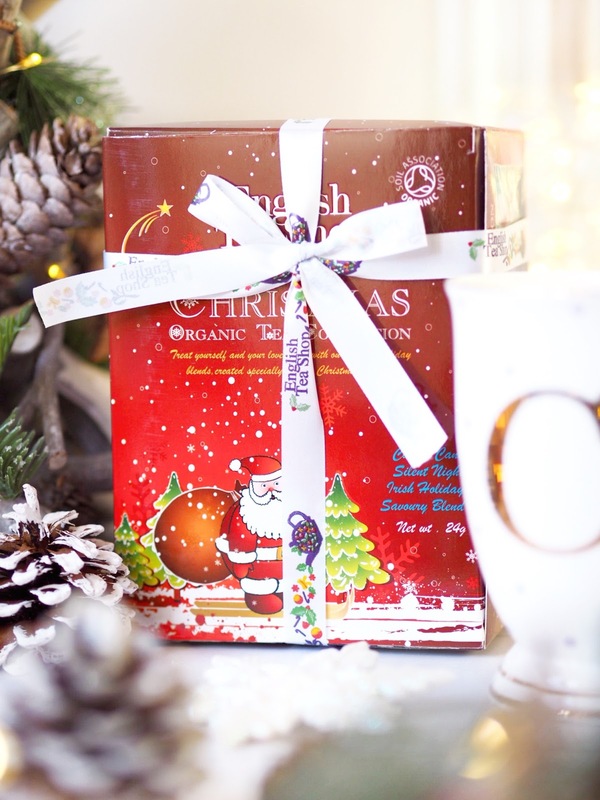 If Gingerbread Man tea doesn’t entice you, the gorgeous Organic Tea Collection features four different flavours: Candy Cane, Silent Night, Irish Holiday and Savoury Blend. 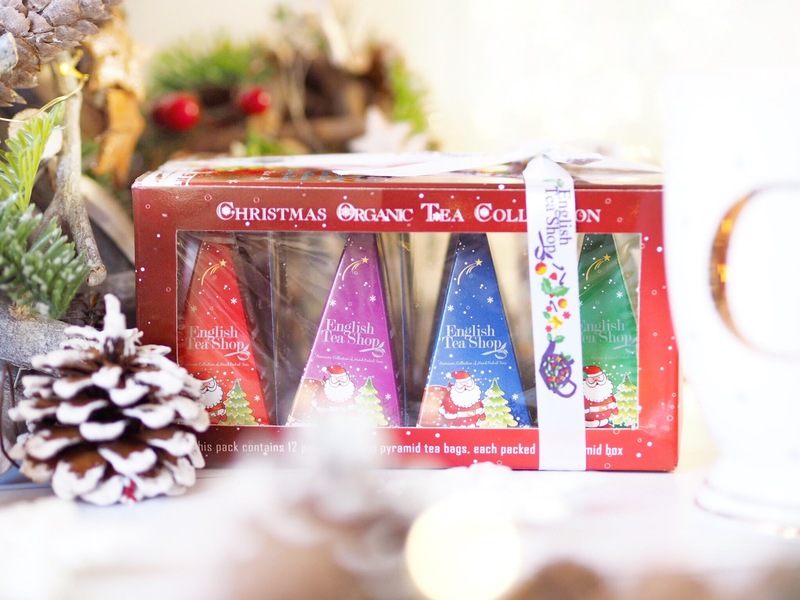 Tiny premium silken pyramid tea bags in an individual Christmas triangles – so cute. There’s a flavour for every taste with The English Tea Shop teas. 5. 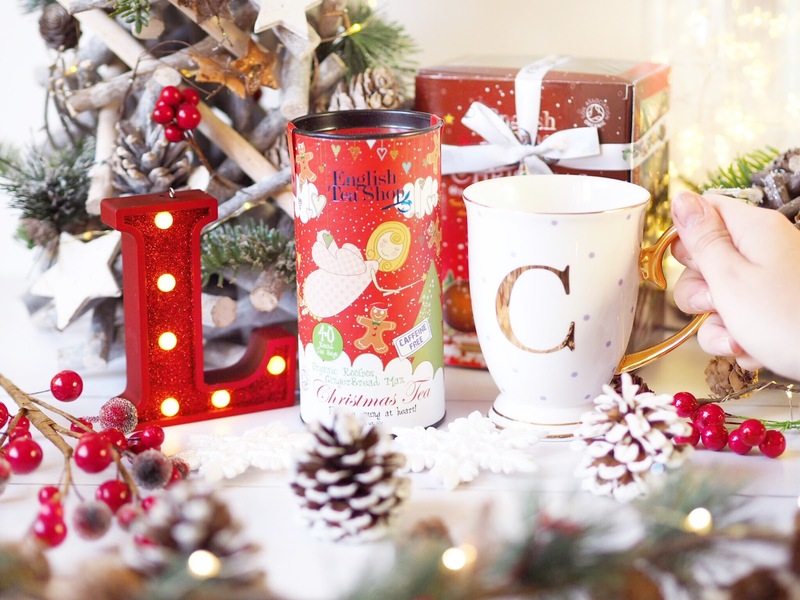 Take tea to the sofa, replace festive music with a festive film, put the fluffy socks on while the tea begins to cool, pop your feet up, get the blanket, sit back and enjoy your gorgeous cup of Christmas tea. And if that wasn’t enough to tempt you to a gorgeous cup of tea from The English Tea Shop then remember that all their teas are organic and made by working with Fairtrade farmers from all over the world – a relationship based on ethical values and sustainability. So not only do you get to have and give a great tea gift that everyone will love, but you also get to give a gift that genuinely is giving back and making the world a better place. Pretty impressive for a Christmas cup of tea right? Visit The English Tea Shop. This is a sponsored post contains gifted items, but as ever all opinions are entirely my own. Please refer to my Disclaimer page for more details.